Are We On Pace to Reach the 2030 Goal of Ending Extreme Poverty? 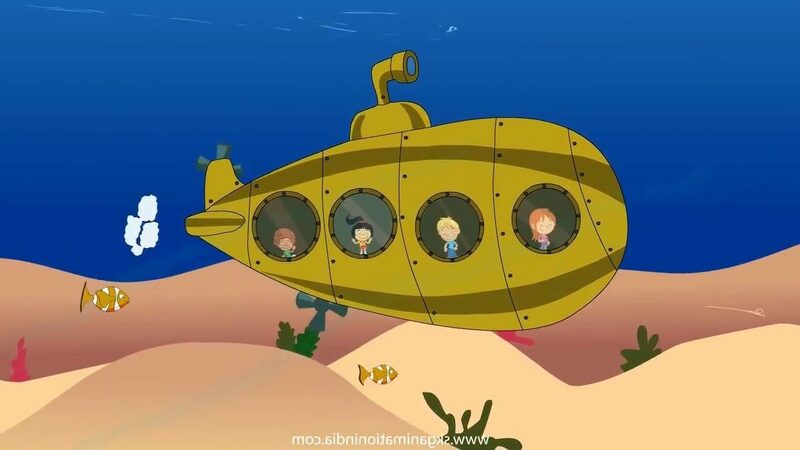 “Check again,” my friend would say, “and this time calculate the distance we have yet to travel and our average speed to get there.” Invariably the answer would come back with a time of arrival significantly later than the first estimate. 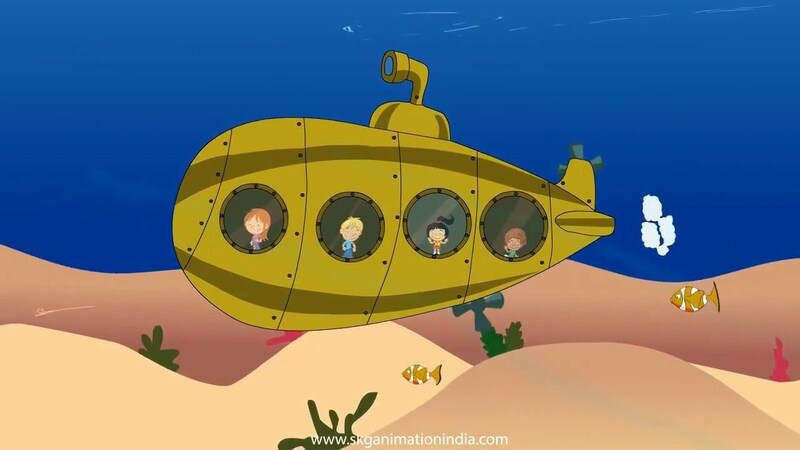 My friend explained that a submarine was constantly making small adjustments against sea currents, and, when added up, these changes added many knots to their journey. This is the advice that we need to apply to the goal of the World Bank and the UN to end extreme poverty by 2030. 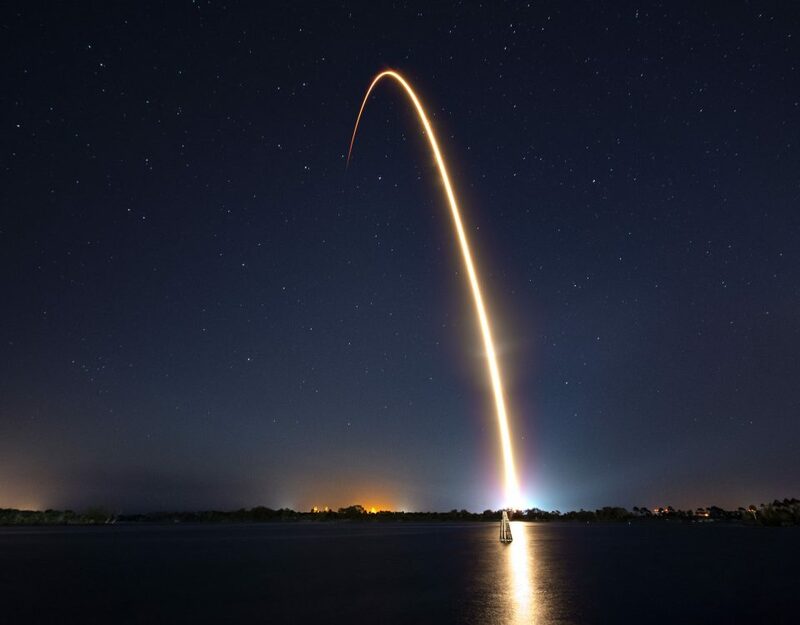 Looking over the past 30 years, it looks like we are on course to reach that goal, but looking forward, have we set the right course to arrive at the goal in 11 more years? 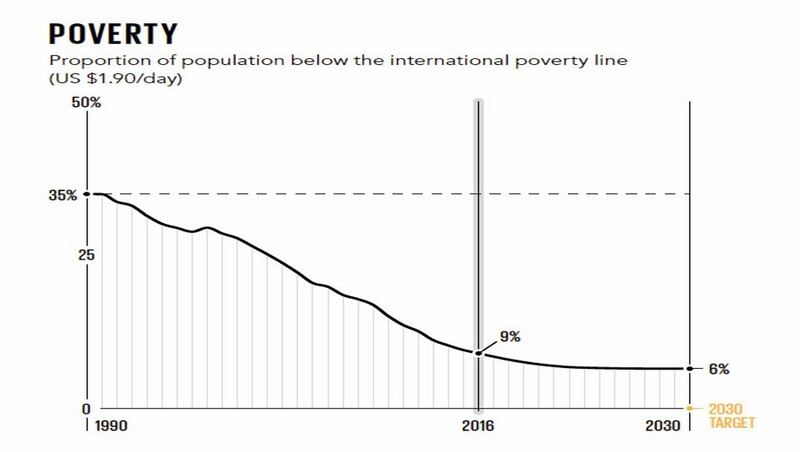 We can get closer to an answer by comparing two reports that came out late last year and early this year: The Global State of Ultra-Poverty from RESULTS and Uplift and the 2018 State of the Sector Synthesis Report from the Platform for Economic Inclusion at the World Bank. 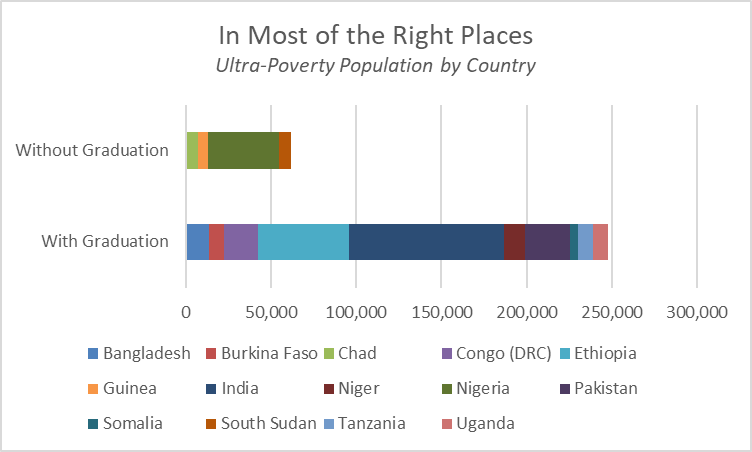 The Global State of Ultra Poverty (which I helped write) starts with a key premise: If we want to see the end of extreme poverty by 2030, we need to start working on the most difficult challenges right now. Otherwise we will get close to 2030 and realize that we have not developed the tools or the scale needed to support those who have the longest journeys to make out of poverty. 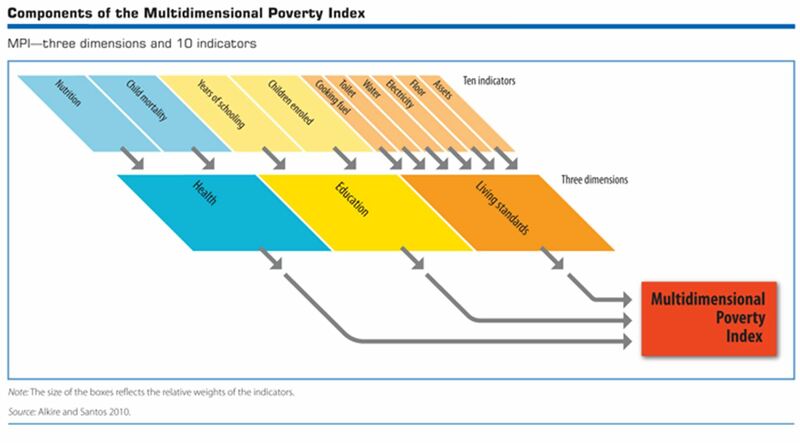 Defining what ultra-poverty is based on the Oxford Multidimensional Poverty Index. 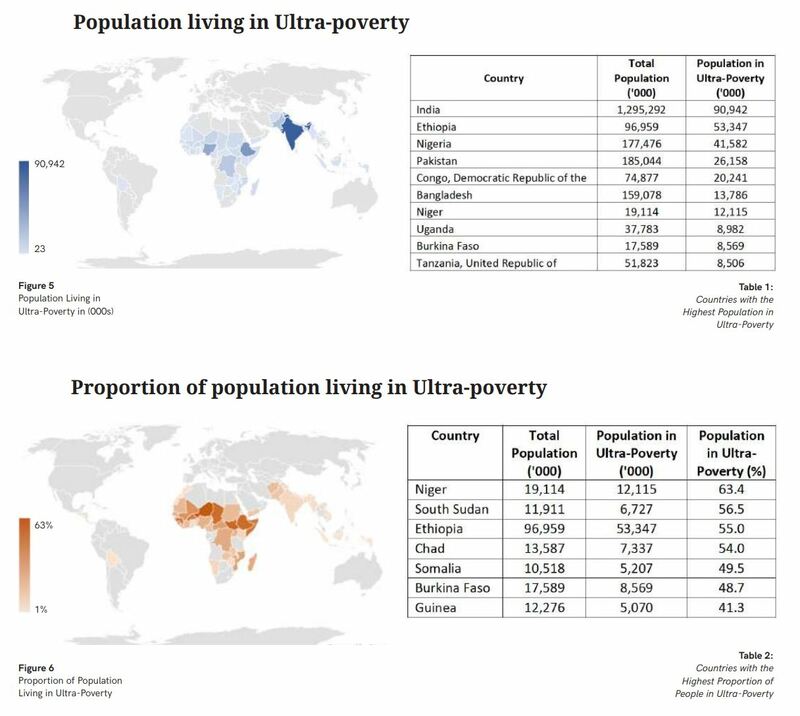 Identifying the total number of people living in ultra-poverty: 394 million; and locating the countries with the highest burden of ultra-poverty: 3 countries in Southern Asia and 11 in sub-Saharan Africa. The report then draws attention to one approach that has proven successful in addressing the challenges of ultra-poverty in many countries – the Ultra-Poor Graduation Approach developed by BRAC in Bangladesh. This approach combines a sequenced set of services — consumption support, training, capital, and mentoring – to help families move from ultra-poverty to a point where they can provide for their own livelihoods. Randomized control trials studying this approach in several countries have shown its effectiveness in increasing the income, savings and resilience of those who participate in it. Governments have now begun to combine this approach with their social cash transfer programs that support people living in poverty. This provides hope that the approach can be deployed at the scale needed to address the size of the need. 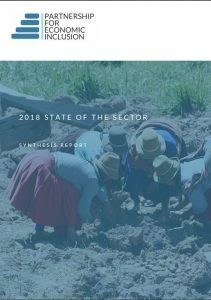 PEI’s State of the Sector Report picks up right at this point. It tallies the number of implementations of the graduation approach, who manages them, and what elements of the graduation approach they contain. Here are some of the highlights of their 2018 report. 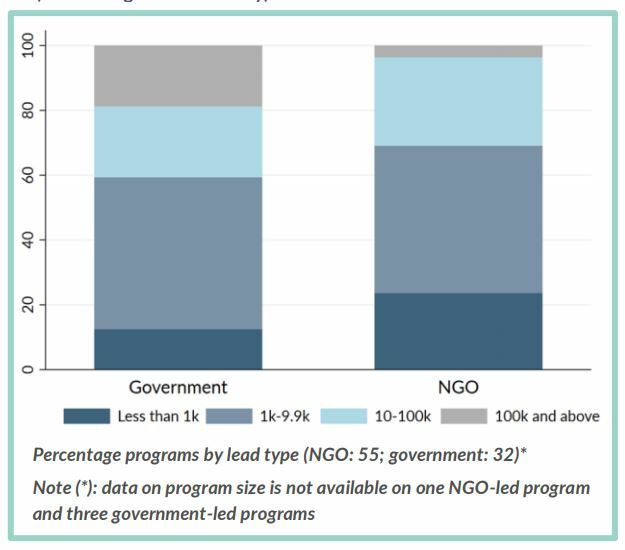 As of 2018, NGOS and governments are implementing 99 programs in 43 countries that include the graduation approach. To date these programs have reached 3.1 million households containing 14 million people living in poverty. By 2030 these programs project reaching 12.3 million households containing 51 million people. Governments from 34 countries participate in graduation implementations, which is nearly double the number from 2016. Most of the largest programs (over 100,000 participants) had the government participating in some way. The tradition of documenting the results of the graduation approach continues, with 76% of current programs containing a graduation component employing advanced research methods to study the outcomes of the program. 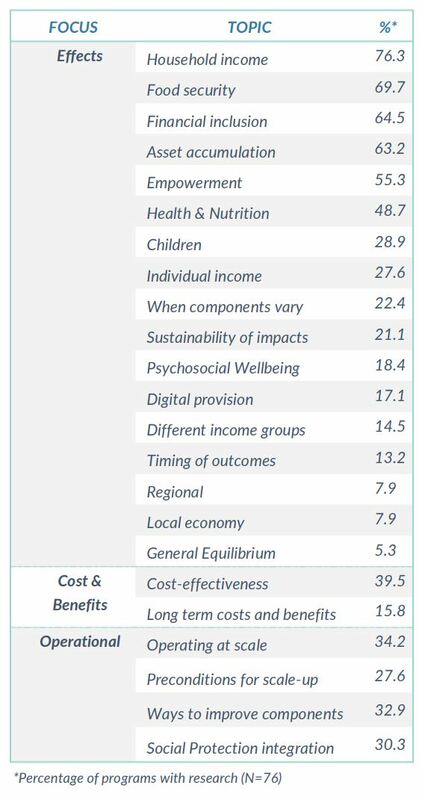 How the approach can maximize benefits and cost effectiveness in different contexts and with different types of participants. How governments and other implementers can scale the approach. 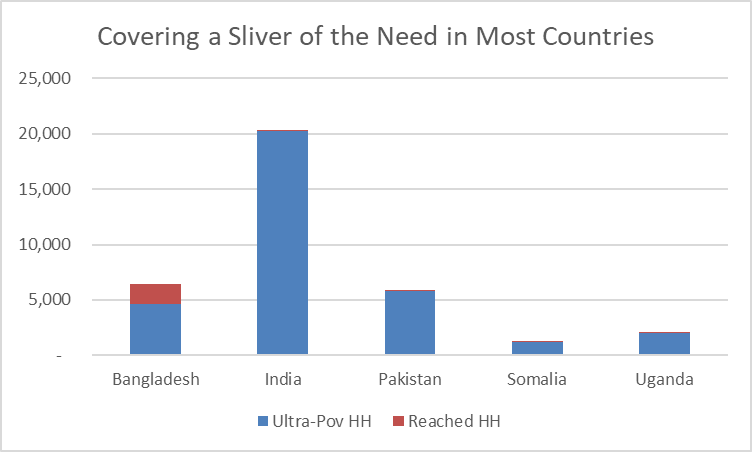 Is the graduation approach being implemented in the countries with the highest burden of ultra-poverty? 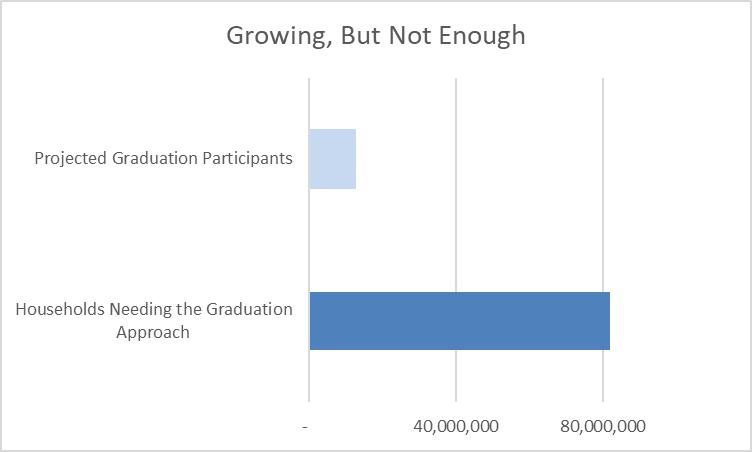 Is the graduation approach helping the global community keep pace to reach its 2030 goal? The answer to the first question – Mostly. 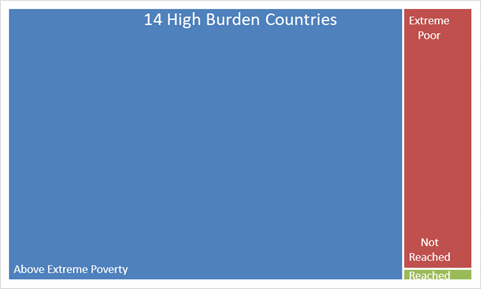 Based on the PEI report, nine of the fourteen countries with the highest burden of ultra-poverty have programs implementing the graduation approach. And all but one of the countries with the highest population of ultra-poverty have graduation programs. The countries needing graduation programs that do not yet have them – Chad, Congo (DRC), Guinea, Nigeria, South Sudan. The answer to the second question (are we on pace?) — No. I estimate that there are 82 million households worldwide that will need some form of the graduation approach to move out of extreme poverty. The PEI report estimates that current programs implementing the graduation approach will reach 12.3 million households, leaving a shortfall of almost 70 million households. 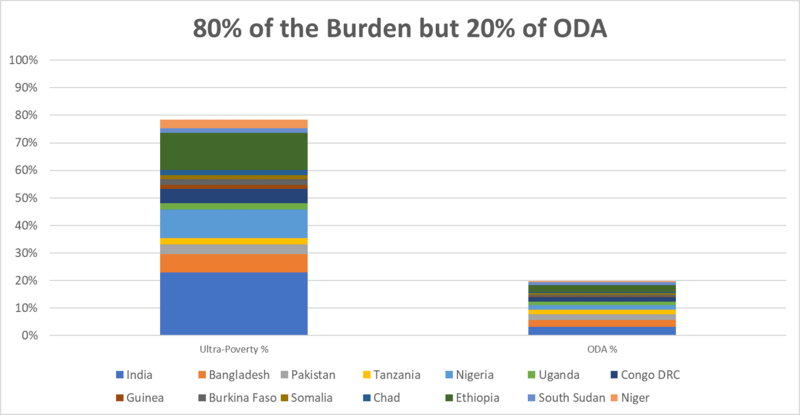 Because the 14 countries with 80% of the burden of ultra-poverty receive on 20% of foreign aid, this shortfall becomes especially pronounced in the countries with the greatest need. 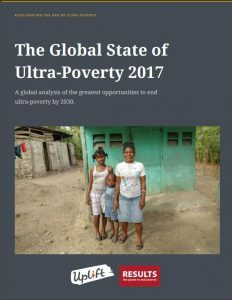 This comparison of the Global State of Ultra-Poverty and the 2018 State of the Sector Report provides both good and bad news. The good news – The graduation approach has grown in popularity with both governments and NGOs, with rapidly growing numbers of participants and partnerships with governments. 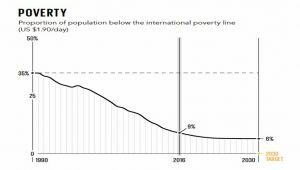 The bad news – we are no where near the pace or scale we will need in order to provide our needed contribution to the global goal of ending extreme poverty by 2030. More government officials and donors to visit successful implementations of the graduation approach so that they can get a vision for the role it can play in ending extreme poverty. More training for government staff and implementing staff on how to support and carry out programs that include the graduation approach. More proven tools for operating the graduation approach in programs that serve millions of people in one country. 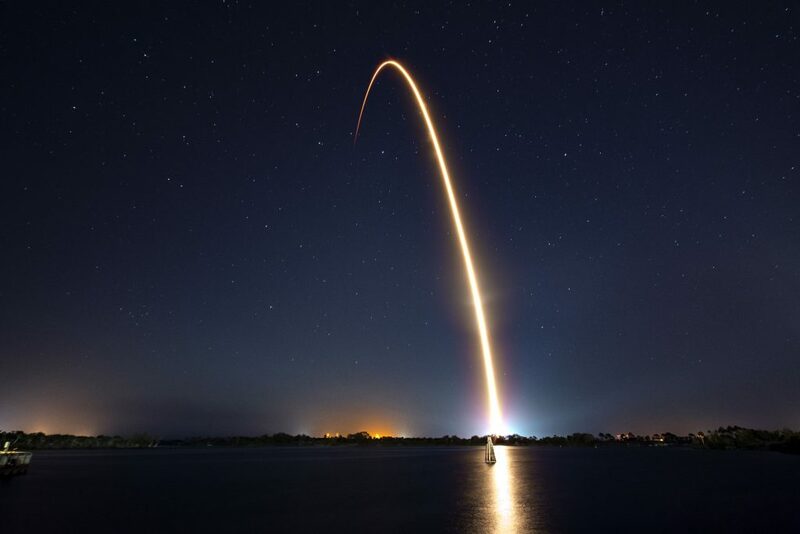 Without concentrated efforts in these areas, we may find that we won’t arrive at our destination until long after we had planned, if we reach it at all.